Posted on May 2, 2017 by Bob Hesterman. 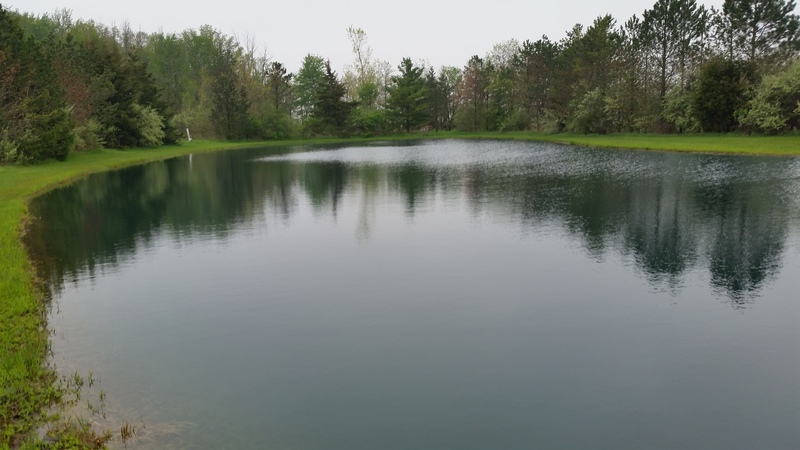 Below are before and after photos of a pond that was overrun by algae. 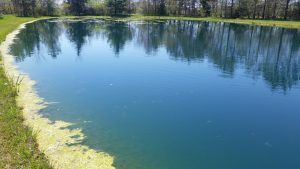 Treating algae before it gets out of hand is key for a healthy and attractive pond. There are several different treatment methods, and certain timing of the year that is vital for taking care of the problem. 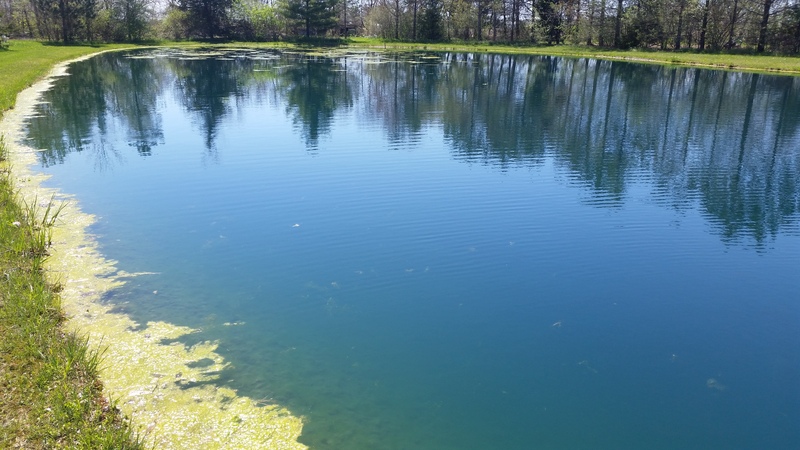 Early algae growth, like pictured below, can be easy to control with proper methods. Contact the Fin Farm for more information on treating your pond, and using the proper practices to maintain your pond.